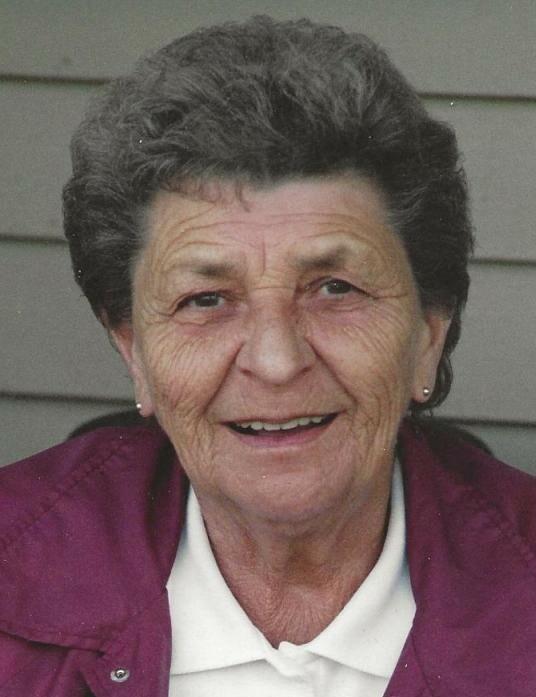 Patricia M. Oliver 85 of Charlevoix died April 2, 2019 at Grandvue Medical Care Facility in East Jordan. She was born December 3, 1933 in Petoskey, the daughter of Louis and Ethel (Alward) Jablinsky. Pat enjoyed spending time with her grandchildren, cooking, playing scrabble, bingo, going to the casino, taking care of elderly people and kids. She worked at Ellsworth Community Schools for many years. Surviving are her children: Jack (Eileen) Danbert, Jim (Jodell) Danbert both of Ellsworth, daughter Connie Nelson of Charlevoix. Grandchildren : Brandon Danbert, Tonya Shearer, Robert Danbert, Sam (Matt) Deere, Jared Danbert, great grandchildren : Kaidence Marvin, Addison Shearer, Cora Deere. Preceded by husband Wayne Oliver, brother Versel Turk, sister-in-law Gladys Turk. Funeral Service will be held Saturday, April 6, at 2:00 PM at Ellsworth Chapel of the Mortensen Funeral Homes with Rev Chris Wallace officiating. Friend may call at the funeral home from 12:00 to the time of service. Burial will be in Ellsworth Cemetery. The family would like to thank all the staff at Grandvue Medical Care Facility for their kindness and wonderful care they showed to Pat over the last several years. Memorial contributions may be made to Grandvue Medical Care Facility to be used for the employees. Grandvue Medical Care Facility (Employees) 1728 South Peninsula Road, East Jordan, MI, 49727.